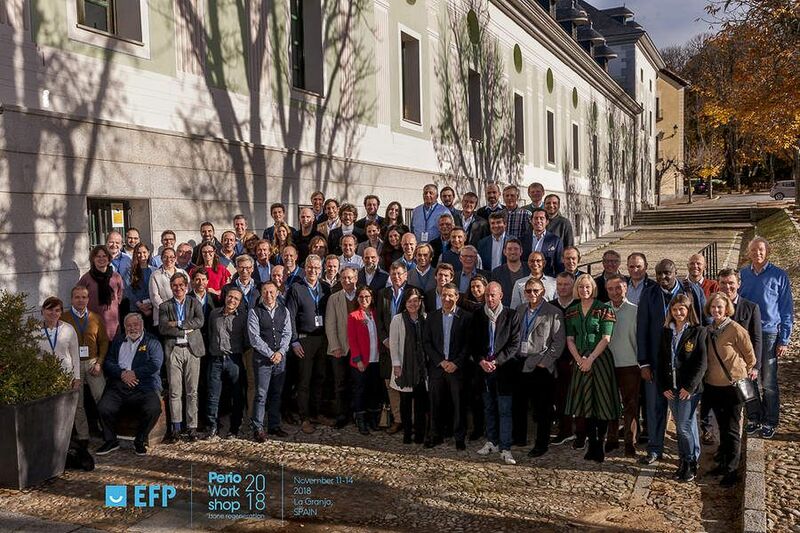 Our professors had the great honour of having been invited to attend the XIII European Workshop in Periodontology organised by the European Federation of Periodontology and Osteology Foundation last week in the small town of La Granja de San Ildefonso in Spain last week. This consensus workshop brought 75 leading academics and researcher in the fields of biomaterials, periodontology and oral surgery around a common table to discuss the topic of bone regeneration in the oral environment. Norway was represented by Håvard,​​​​​ Jan Eirik, Janne, Petter, and Kamal at the consensus meeting in Segovia. The workshop participants were divided into four work groups to ensure everyone's opinion was heard during the meeting. Our lab was involved in two of these work groups with Janne Reseland and S Petter Lyngstadaas representing Biomaterials in work group discussing the biological factors involved in bone regeneration in the oral environment, while Håvard J Haugen teamed up with the other Norwegian participants Jan Eirik Ellingsen and Kamal Mustafa in his work group focusing on biomaterials and regenerative technologies. The outcome of the intense scientific discussion and debates will be made available to public as consensus papers that are to be published in a special open access supplement to the Journal of Clinical Periodontology. Håvard and Petter are also involve in writing a review article that aims to answer the question "What is the most desirable bone graft material?”, which is to appear in the same online edition with the consensus reports. All photos published with permission from EFP.